One of the most enjoyed pleasures of Bali is indulging in a traditional Balinese massage. An hour of this relaxation typically costs between AUD$8 – AUD$13. However, massage parlors are regularly used as fronts for prostitution. While you may not choose those services, we recommend that you take care to not support businesses that exploit women and teenagers for their own profit. Here are some guidelines when choosing a spa. Spend the extra dollar – often prostitution-backed massage parlors will advertise the lowest prices because their real money comes from the “extra” services they allow. Choose a spa that closes early – No one needs a massage at 2 am. If the spa advertises all night services, those services are often much more than a back rub. Check for certification – There are a number of accredited schools that will issue certifications to graduates. Ask to see the therapist’s certification. Those who practice prostitution are less likely to have gone to school. Location, location, location – Quite simply, the more seedy the place or neighborhood, the more likely it is to be a prostitution front. There are plenty of higher end places that will also offer prostitution so it is important to research before choosing a spa. However, private spas and massage parlors that look like dimly lit brothels often are. There are neighborhoods in Bali that are red light districts, but because of the illegal nature of prostitution, many times there are rows of massage parlors and spas used as fronts for sexual services. 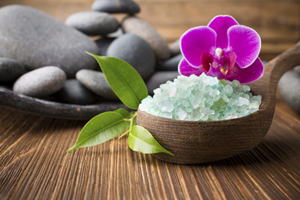 Hotel spa services – Many hotels in Bali provide spa services to guests. While these tend to be more expensive than private spas, they are also less likely to engage in unethical practices. Those hotels that are compliant with The Code are the most likely to provide ethical services.